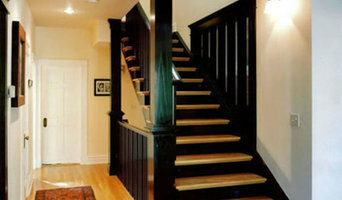 Specializing in custom basement, kitchen and bathroom remodeling. Specializing in residential remodeling, additions & custom home building. Integrity and competitive pricing. More than 95% of our business is from referrals. We have been in business on the front range for over 30 years and all of our full-time carpenters have been with us for at least 15 years. We give our clients quality work with a personal touch. Things around the house eventually get older and require repair and some updates. Homes By Heart can provide you with an excellent home improvement service so you can keep your house up and running. We will help you transform an outdated room into a modern comfort with our many home remodeling & professional cleaning services. With Homes By Heart, your general contractor will be skilled in many areas and will gladly come to your home to fix anything. If you are in need of anything from kitchen remodeling to residential painting services, we are the company that can help you. Our home improvements and repairs service has earned us a recognizable reputation in Colorado Springs, turning visions into reality. With our experience and expertise, you can trust that all of your repairs and home renovations are in good hands. Phenomenal Construction & Remodeling, Inc.
From the first napkin sketch to the housewarming or grand opening party, SACHS Construction, LLC, is at your service throughout the entire construction process. 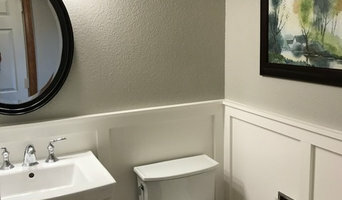 Holladay Brothers Construction, Inc. is an A-Licensed Colorado Springs general contracting firm incorporated in 1979, and has consistently been named as one of the top five hundred companies in the United States by Qualified Remodeler Magazine. Qualified to work on all types of structures, we are currently one of the largest remodeling companies in the Pikes Peak area. A design specialist is maintained on site to help make your remodeling dreams become reality. We pride our company on reliability, great communication, integrity, and quality work. 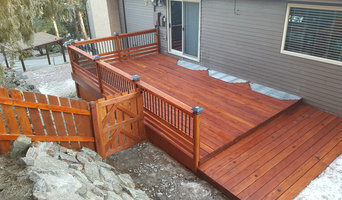 We are experts in our trade and will do our best to keep you as educated as we can on your particular task or project. We look forward to earning your business! Fully licensed remodeling and construction company. MBI’s goal to our clients is to take the hassle out of resolving the problem and accomplish it in the most timely manner possible. MBI strives to serve our customers with as high a professional and ethical standard as we possibly can. Welcome to Goetzmann Custom Homes where our 30 year tradition of quality craftsmanship as Colorado Springs Custom Home Builders results in homes that exceed all expectations. Loyalty, Commitment and Communication. These three Core Values consistently encompass the vision of custom homebuilder Phil Goetzmann and his business partner Greg Tollis. When people begin to think of building a new home many times they do not know where to start. One of the first steps in the process is meeting and interviewing potential builders. We encourage people to meet with Phil Goetzmann early on since it is critical to feel like you connect and can communicate well with the builder of your home. At age 15, Phil began his homebuilding passion when he spent his summers working as an apprentice for a local builder. By 21, Phil was a licensed Contractor. Greg and Phil met years ago while pursuing their passion for constructing beautiful homes, eventually becoming Colorado Springs Custom Home Builders. Phil Goetzmann is modest, soft-spoken, intelligent professional with a sense of humor. Connecting to his client’s vision and needs, he listens and takes their direction. Phil has a unique ability to conceptualize with foresight into the home well before construction begins. 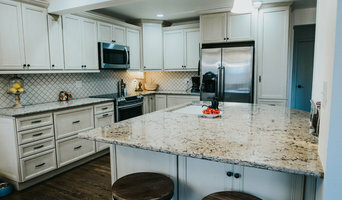 Unlike many of the larger Colorado Springs custom homebuilders, Phil and Greg are personally involved through the entire process building your new home. Greg defines his personal expertise in the partnership as more of a behind-the-scenes superintendent. Greg feels they are blessed with the same craftsmen working with Goetzmann Homes year after year. Phil and Greg understand success is more than exquisite craftsmanship and attention to detail; it is Attitude, Pride, and a Team Approach. Phil and Greg have a strong commitment to their clients to not only provide the quality workmanship, on time and on budget completions but most importantly: open communication throughout the planning and building process. As a recognized and respected builder in the communities of Flying Horse and Wolf Ranch, Phil and Greg have won numerous awards. From The Parade of Homes, “Best overall house” to MAME, the prestigious Marketing and Merchandising Excellence awards in the construction industry for first place in “Best Architectural Design” and the prestigious “Best New Home – Over $1,000,000 category” for one of their custom homes here in Colorado Springs just to name a few. Welcome To Jayne Of All Trades! Our mission is to provide honest, no-nonsense, quality General Contracting services to the Colorado Springs area. All work we perform is ‘by the book’ and always adheres to local building codes and manufacturer recommendations. A Colorado native, Erica was born at Penrose Community Hospital. She later attended Lewis Palmer Elementary School as well as The Colorado Springs High School. During her early years Erica took an active role in the remodeling of several residential homes for her father; Rex Johnson, a Colorado Springs property manager. After graduating Bucknell University; Erica was hired by a Colorado Springs Roofing company for a marketing position and was promoted to Sales/Project Manager within weeks. In less than a year, she earned considerable respect throughout the industry. Which lead to her being recruited by a multi-million dollar General Contractor in Dallas, Texas to run sales & operations. After 2+ years of serving hundreds of happy Dallas customers, Erica decided to return to her family in Colorado Springs. There she started Jayne Of All Trades General Contracting in 2010. Always looking for ways to improve, she will not settle for less than the best.